Twitter has been updated to v4.0 with this new look, it was a non-holo app for a long time and it looks nice now. The new 4.0 release has an all-new feel, and improved hashtag and mention support in the search and compose windows. 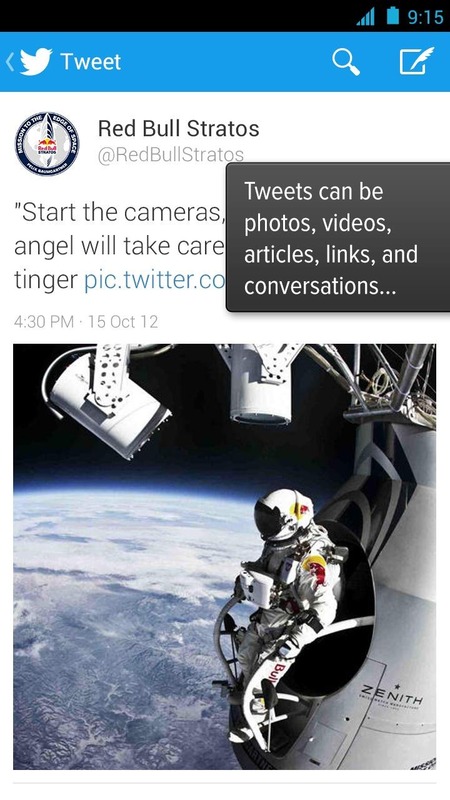 You also now tap and hold on tweets to bring up the action menu (reply, retweet, favorite, share). 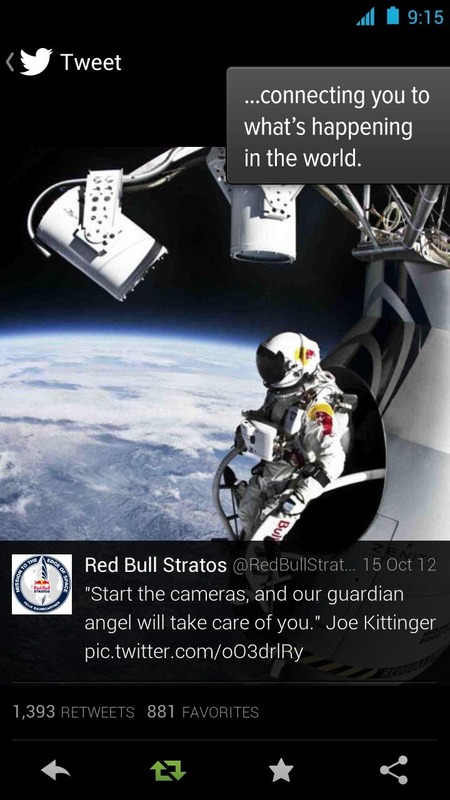 Apparently, you can install and launch apps directly from tweets - but I'm not sure how. You can read more about the update at the official Twitter blog, as well. - We’ve got a brand new look and feel crafted for Android 4.0+. 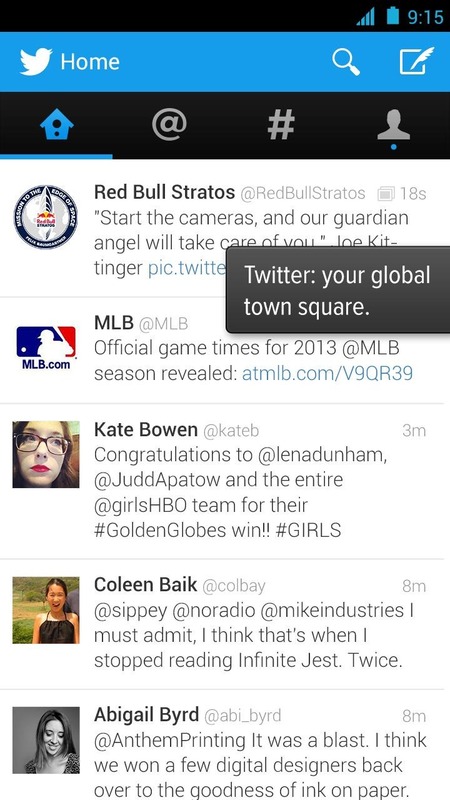 Navigate seamlessly between your favorite parts of Twitter with a simple swipe.